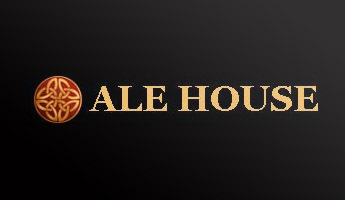 The Ale House is situated in Broederstroom – a stone’s throw away from the Hartbeespoort Dam. Trailer Trash Blonde: A no frills American Pale Ale (APA) that will make you want to move to a trailer park. She is that seductive. Huge floral and citrus hops aroma notes on the nose and a caravan full of fresh hops. She is fiesty, weighing in at almost 7%, but rewards handsomely with malty caramely undertones once you have “chewed” through the hop screen. Very much like your typical woman. This beer occasionally comes in a double version. But very occasionally !! EselWeiss: This one is named after my donkeys and has nothing to do with white German flowers growing in the snow… Or rowdy festivals in the Alps. Although I could swear I can hear a slight German accent in their brae after eating the mash…. Eselweiss is a refreshing , slightly spicey summer Weiss beer. Made with good quality imported wheat malt and hops. Irish Red Ale: This one is the Irish staple. Brewed with lots of Crystalised malts, and the occasional Ale House floor malted malt. To ensure that signature soft nutty maltiness that is ever elusive in commercial malts. The perfect pint for the good old Irish `Craig` with family and friends. Low hops here for this one is the Fields-of-Barley-in-a-glass. Capsicum Ale: Only brewed with the onset of winter. This one is the runny nose and flu-doctor. Three pints of this and you will forget that you had the flu. That runny nose dries up instantly once you take a whiff of the healthy helpings of Chilli Pepper that greets you at the rim of the glass. It goes down surprisingly easy just to return a while later with an ET-go-home glow. The pint with the most immediate health benefits that we know of. The beer has almost no hops in it, but a bag of whole chilli peppers is added at the later stages of the boil. Bringing to you a healthy glow of capsicum that will make short work of a wide range of ailments. Pale Ale: This is one of our favourite session beers. A easy to drink light ale. No frills or spills here. Lightly hopped and light inbody and colour. Ale House Brown Ale: A sturdy English Brown Ale with loads of crystal malts, and nutty flavours. Lightly hopped with European hops. This one scores about 6,5 % on the alcohol charts. So not exactly session stuff, but easy drinking none the less. Smokey Oak Ale: The Smokey Oak Ale is our very own version of a Rauchbier. The grain is home smoked for 4 hours in a cold smoker with oak chips, to impart that rustic farm smoked flavour. We use apple or fruit woods as well, when available. Smoking the malt usually coincides with bacon making – and when the cured pork belly goes into our big smoker, so does the malt. Very lightly hopped with Saaz hops and a touch of crystal. This is an easy drinking low alcohol number, surprisingly addictive and a great companion with our food. Plastic Paddy: This is the Ale House version of that great Irish national drink “The Black Stuff” or as we now it : Guinness. This is an Irish Dry Stout with lots of Irish character; complete with the roasty, slightly molasses flavour with a hint of dark chocolate. Sadly this one is only brewed once a year for our famous St. Patrick’s Day celebration. And I have to pull all the stops each year to pull this one off – for the Irish just do not drink any “black stuff”.